I am joined on this episode of Skeptically Speaking by anthropologist Greg Laden, who talks about entomophagy (bug eating). My part of the interview starts with a discussion of using a pseudonym online, and why I think scientists need to be anonymous sometimes. Then we have a fun chat about treehoppers, bees, and fake mosquito repellent devices. Bonus moment of embarrassment: I try to be relevant to a Canadian audience by comparing native pollinators to Wayne Gretzky. Are there roaches in your coffee and chocolate? There is not, as best I can tell, a transcript for the show, but if anyone wants to volunteer to transcribe it, I will happily post it here. Thanks for posting this Bug Girl! I had heard of the podcast, but never checked it out. I look forward to listening to the episode that you are on as well as all the others (all the topics look really interesting). I thought I was fine with the idea of bugs in my food. 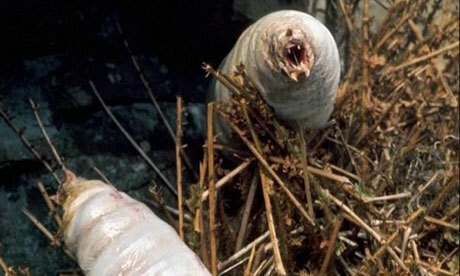 Then last night I totally DREAMED that I had a MOUTHFUL of GRUBS and was desperately trying to get them out. :) So yeah… On another note, I have looked around Bug Girl’s site a few times and it is so cool! EXCELLENT WORK! So I learned about cheese mites a couple of years ago, and now I can’t help feeling like Galactus every time I eat a chunk of hard cheese.